You may have read the detailed report of Ikenna Nzeribe on this Blog, if not you can check it out HERE. Below video released by CNN, shows Ikenna narrating his ordeal after surviving the gruesome attack. It is only God’s miracle that kept this man alive today! 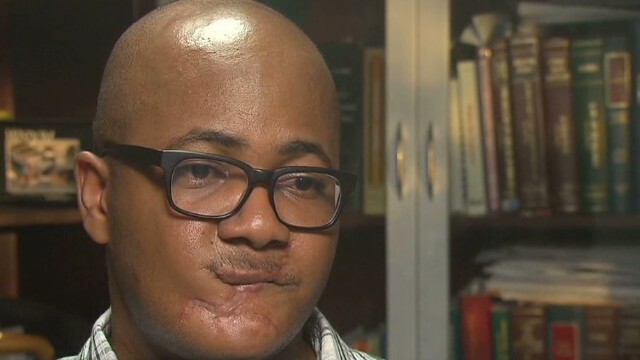 He was shot with an AK47 in the face, his jaw and mouth fell apart, but today he could speak through his mouth after a successful surgery. Awesome God! This entry was posted in Inspirations, News and tagged Ikenna Nzeribe survives Boko Haram church attack in 2012, Ikenna Nzeribe video.